A very rare die marriage with perhaps 25 or so examples known. The finest of which have not been seen in over 20 years, a pair of AU50's, one of which is the Overton coin. 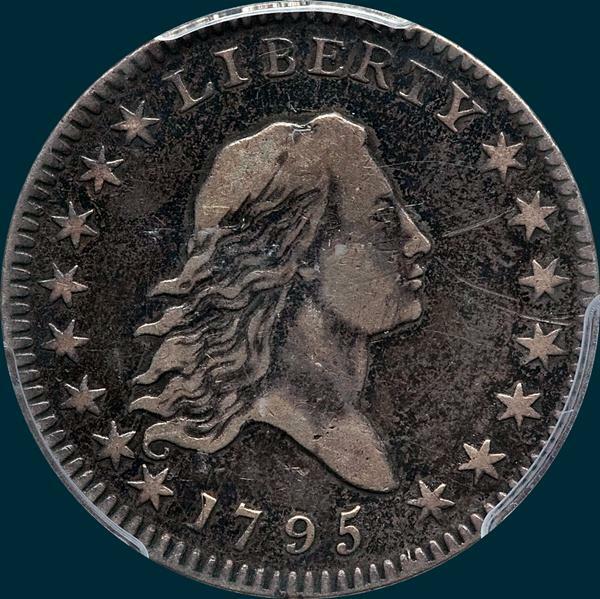 Reverse- 19 Berries, 9 left and 10 right, the only such division in 1795. Four berries below right wing, two inside and two outside, one of those outside has no stem and is merely a small bump near stem of leaf. Point of leaf is centered below RI and distant. 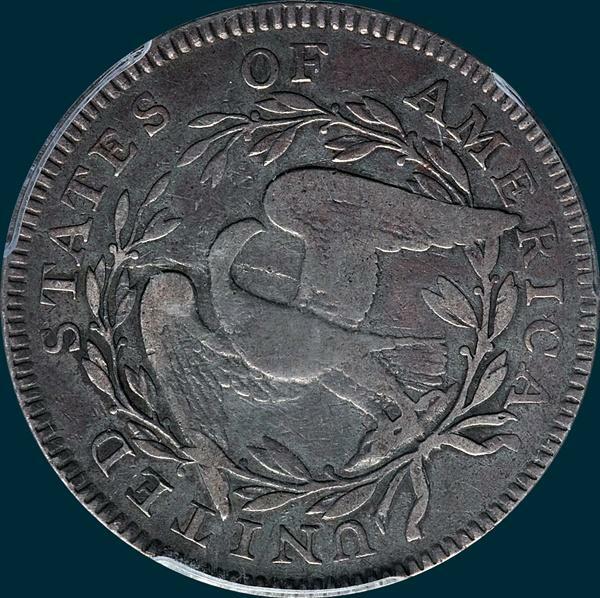 A die break from edge at I in AMERICA, crosses right wing, neck of eagle and through A in STATES to edge. the center portion of the break from lower edge of right wing to tip of leaf below R1 is very light.